One side leads to the other with this unique Mobius inspired wedding band. 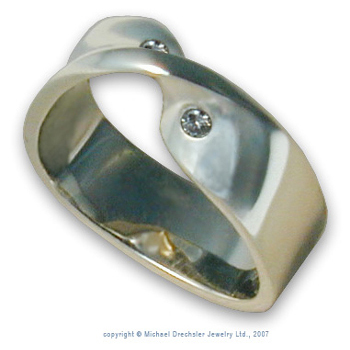 This 14 Karat ring features two rap set 0.05 carat diamonds. The ring is size 8 1/2 and 7 millimeters wide.